Let me start off by saying that seitan is a genius creation! You can make it taste like anything you wish. Truly genius! 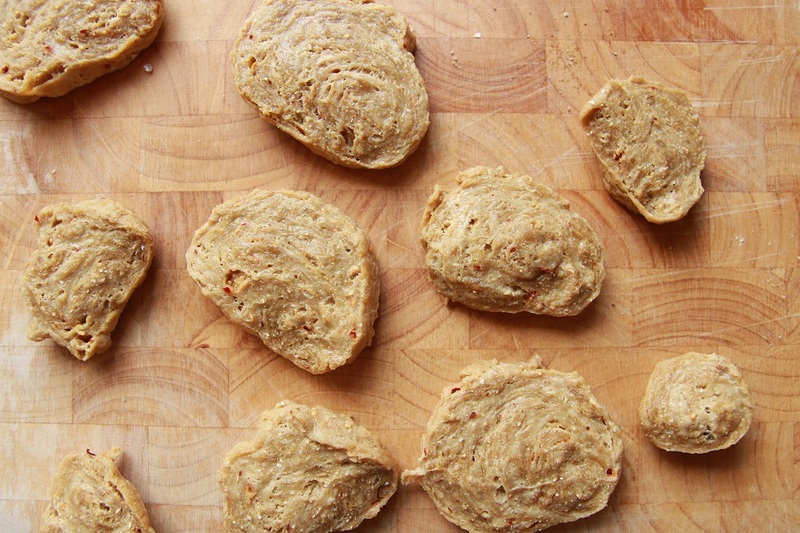 And making homemade seitan doesn’t get any easier than this. 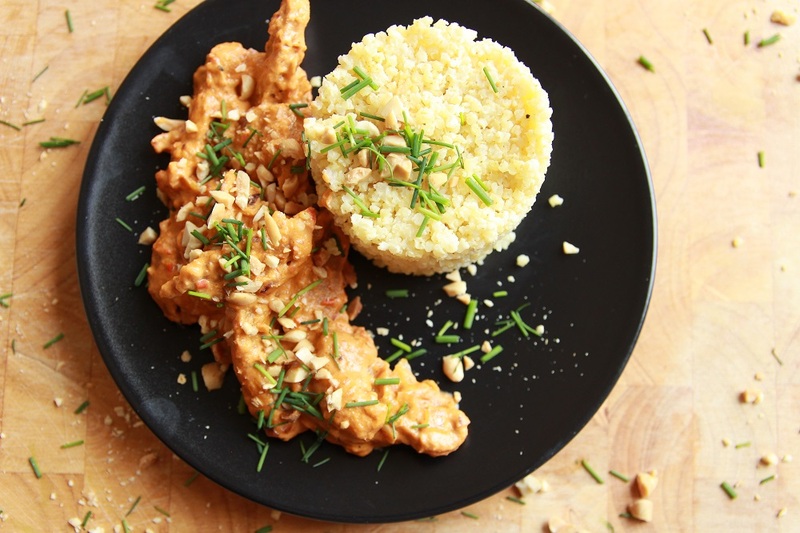 All you need are a few basic ingredients like water, vital wheat gluten, chickpea flour, nutritional yeast and seasoning. That’s it! But the best part is it doesn’t have all the processed ingredients that store bought seitan has. Plus, the process is super easy too. Just mix all the ingredients together, pop them into the oven and you’re ready to cook it however you wish. It can be made in bulk and stored in the freezer for months, or stored in the fridge for a few days. I tried making homemade seitan a few times, but was never pleased with the final texture. Plus, I always had to cook it with so many ingredients and it still had an after taste of flour. So, just before giving up I decided to do some research and quickly learned that there are other ways to cook it. I could bake it! I liked the idea of baking it, so I headed straight to my kitchen to give it one final try. Plus, I was curious to see how it would turn out. So glad I did! The texture was spot on, didn’t have any after taste of flour, and tasted out of this world! 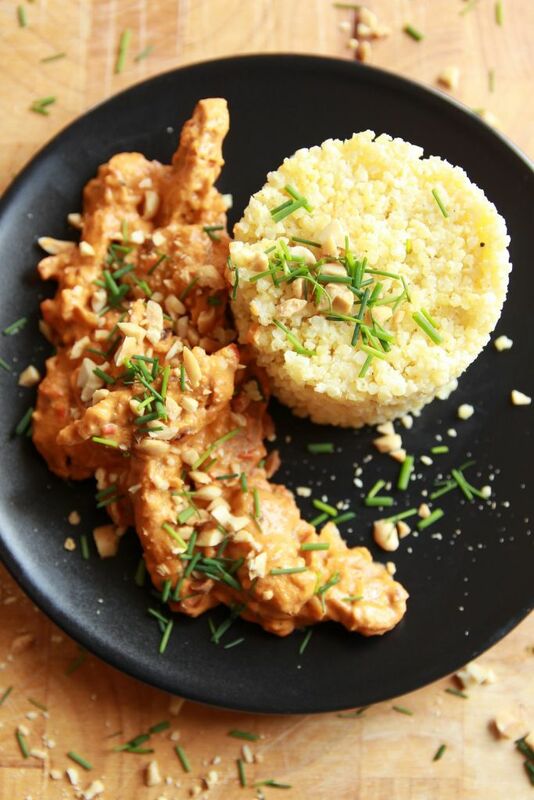 Homemade Seitan Peanut Butter Curry – From Scratch! For the homemade seitan, place the vital wheat gluten, chickpea flour, mustard seeds, dried chili flakes, nutritional yeast, cumin, garlic powder, and sea salt in a bowl and mix until combined. 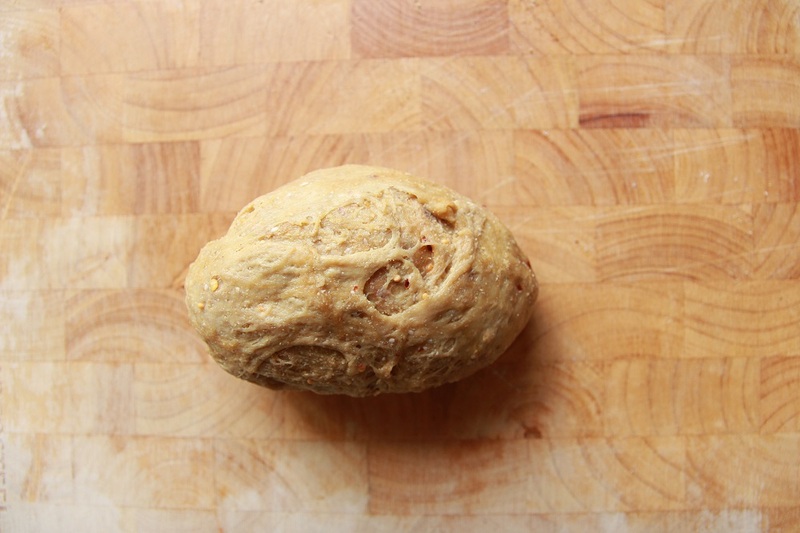 Next, add the water and apple cider vinegar, and mix with a spoon until your seitan starts to come together, then knead it for roughly 3 minutes. Let it rest for 10 minutes, then briefly knead it again. Place 1 cup of the veggie broth into a pryex tray, then cut your seitan into thin slices and place in the pyrex tray. 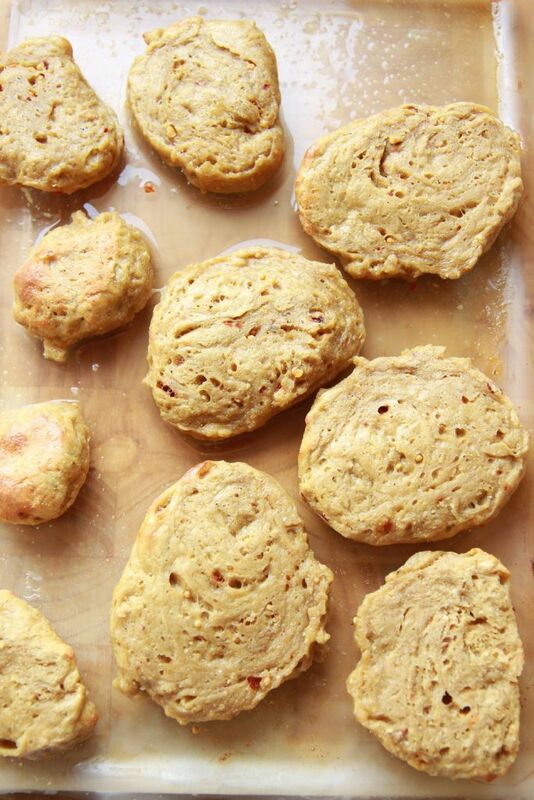 Pop the tray into the oven and bake for 10 minutes, flip each seitan slice over and bake for an extra 10 minutes. Finally, remove your seitan from the oven, let it cool down, then slice into thin strips. Grate the tomatoes and place into a bowl along with the coconut milk, curry paste, and peanut butter, blend until smooth and set aside. Next, heat a saucepan on medium heat, finely dice the onion, then add it to the pan along with the peanut oil. Cook until it starts to sweat, then add the seitan strips and crushed garlic, add sea salt and black pepper to taste, and cook for a couple of minutes. Finally, add the sauce, let it simmer for a couple of minutes, occasionally stirring, then take it off the heat. 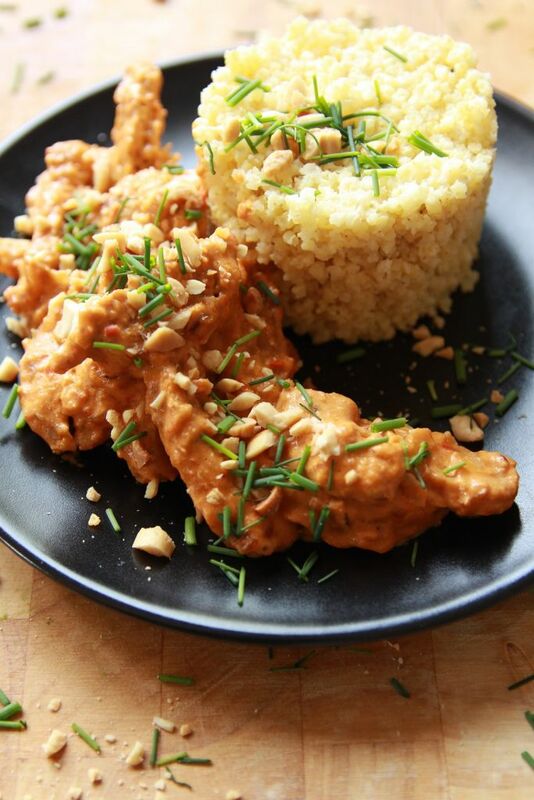 Serve your homemade seitan with some chopped peanuts, chives, over a bed of cooked rice, millet, or pasta and enjoy. 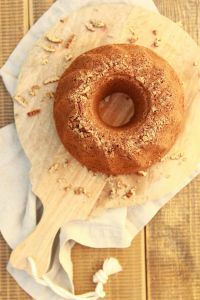 If you’re in the mood for some baked goodness then this moist, fluffy, Vegan Maple Cake is perfect for you. But if you don’t feel like baking then you should try these No Bake Chocolate Slices. They’re packed with goodness and one of many treats I stash in my freezer.